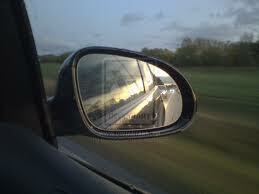 Remember our post about checking your rearview mirror every five seconds? We know you have been following this rule religiously ever since. But what if you notice the same car behind you every time you check it? It could be a coincidence, sure, or it could be someone that is intentionally following you. Stalking is not as uncommon as you may think. In fact, news anchor Jennifer Reyna from KPRC-TV recently had her stalker arrested after he was seen following her on several occasions. Luckily, this story did not turn dangerous, but you may not be so lucky. How do I know if I am truly being followed? Yes, sometimes you just happen to be going to the exact same place as the car behind you. It does happen. And it is even more awkward when you are the car in the back. So the first thing you need to do is figure out if you are really being followed. To do this, you should take a detour from your regular route, but not just any detour will do. Take a detour that is highly unlikely that anyone would coincidentally be taking. If you are in a neighborhood, take four turns in the same direction. On the highway, take an exit and then immediately get back on the freeway. If the same car is still behind you, chances are you are being followed. First, make sure your doors are locked and your windows are up. Next, call the police. And keep driving! It is very important that you do not stop to let them pass, because if they are truly following you, that is when they will make their move. Continue driving, but do not stick to your normal route, under any circumstances. If you are being followed, the last thing you want is for the person to know where you live. If you know where it is, the police station is always the best bet. If you called 9-1-1, they will probably be able to tell you where it is located. The person following you is not going to stop at a police station. However, you should still stay in your locked car until policemen are outside with you. If there is no police station nearby, continue driving through busy streets until the cops can meet you. Once you see the police, you can breathe a sigh of relief.